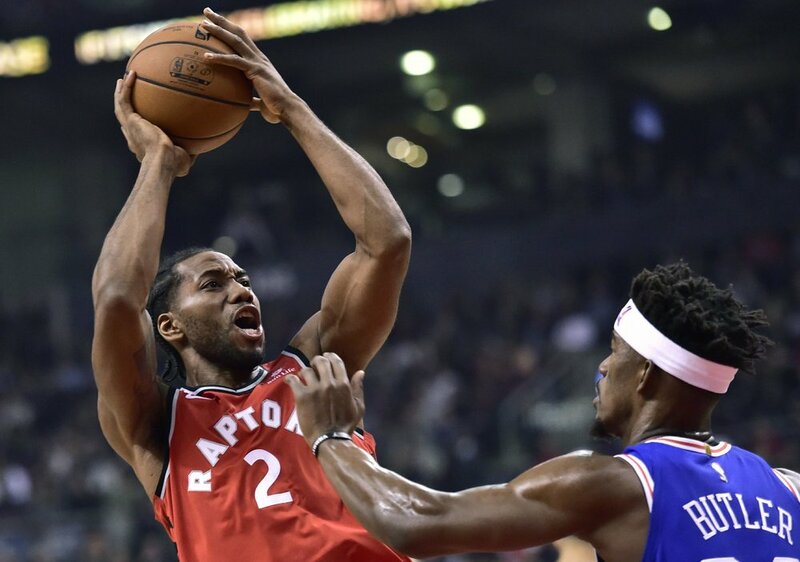 Kawhi Leonard had 36 points, Jonas Valanciunas scored 18 of his season-high 26 in the fourth quarter and the Toronto Raptors beat Philadelphia 113-102 on Wednesday night, handing the 76ers their 13th consecutive loss in Canada. Serge Ibaka added 18 points as the Raptors bounced back from Monday’s loss to Denver to win for the ninth time in 10 games. Toronto, whose 21-5 record is best in the NBA, improved to 11-3 at home. Jimmy Butler scored a season-high 38 points and added 10 rebounds. Joel Embiid had 10 points and 12 rebounds for Philadelphia, whose last win in Toronto was 93-83 on November 10, 2012. The Raptors held a 78-77 lead after three quarters, and Philadelphia’s T.J. McConnell tied it 81-all with a hook shot at 11:07. Valanciunas scored a pair of baskets as Toronto replied with a 9-0 run, opening a 90-81 advantage at 9:07.